Showing results for tags 'carotene'. cover Carotene: Jennie - Solo Dance Cover!!! cover Carotene: GFriend - Sunrise Dance Cover!! cover Carotene: WJSN (Cosmic Girls) - La La Love Dance Cover!! 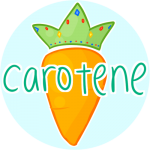 cover Carotene: Twice - What Is Love? Dance Cover!!! cover Carotene: IZ*ONE - La Vie en Rose Dance Cover!!! Hey everyone! Please check out our new dance cover! Don't forget to like, share and subscribe if you haven't already!! cover Carotene: Twice - Yes or Yes Dance Cover!! !